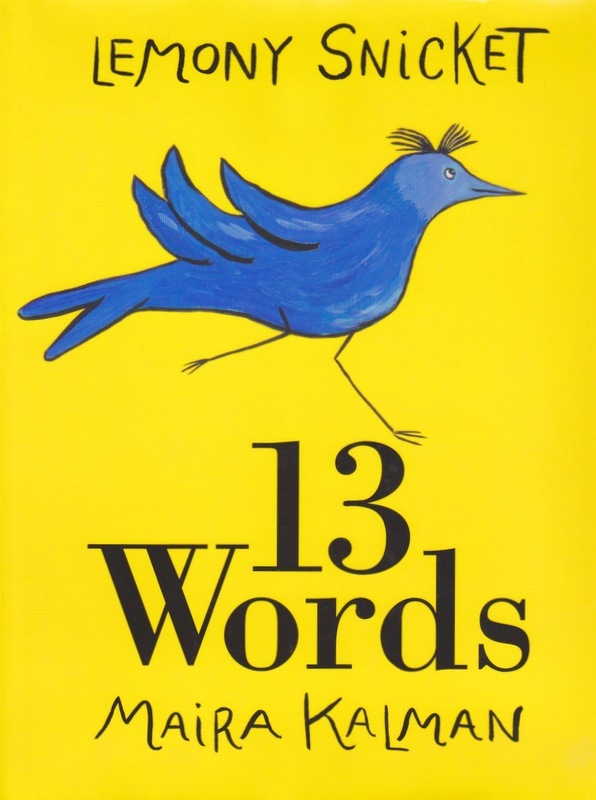 13 Words: A delightful picture book, about a despondent bird. 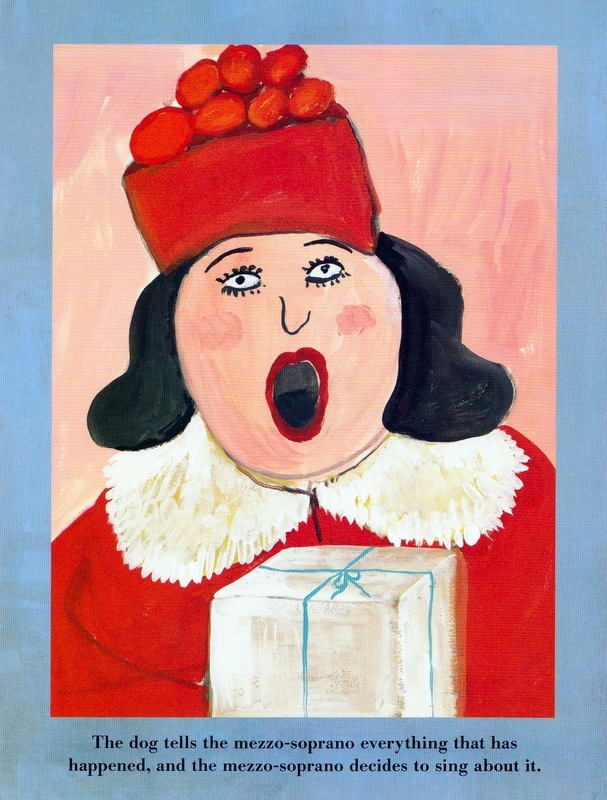 Maira Kalman has an illustration style unlike any other. 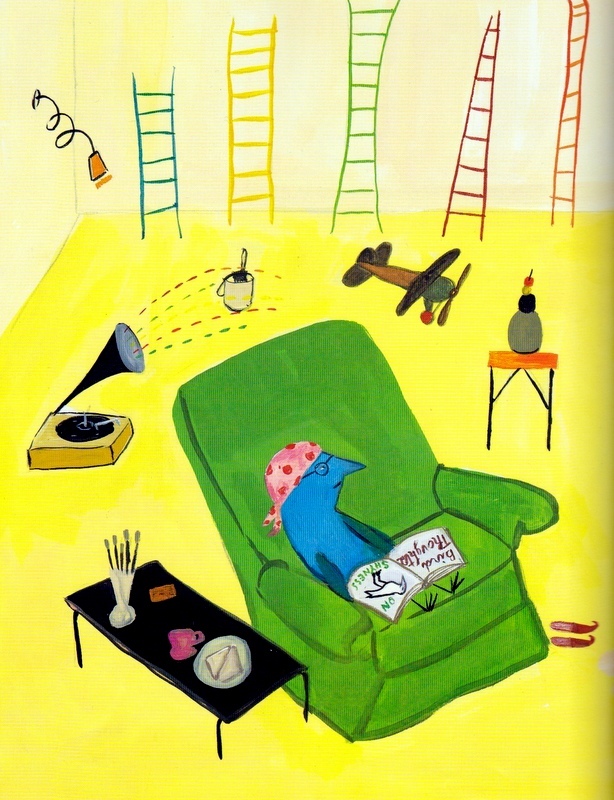 Her art is immediately recognizable. She has illustrated several books, for adults as well as children, and has been featured on the cover of The New Yorker multiple times. She paints odd-looking people and animals that look somewhat human which, in 13 Words, are set against surreal landscapes. Her art is playful and the colors are reminiscent of ribbon candy. Lemony Snicket, author of the highly popular A Series of Unfortunate Events, has a flair for words. Though the majority of his books are for older readers, his voice is perfect for the picture book audience. This story is based around thirteen words—some familiar, others unusual. The diverse list is displayed inside the front cover where the books description would normally be. Surely there are some words children will not know. Word number 1 is bird. Word number 2 is despondent. Bird is despondent, dog(4) would like to cheer her up. 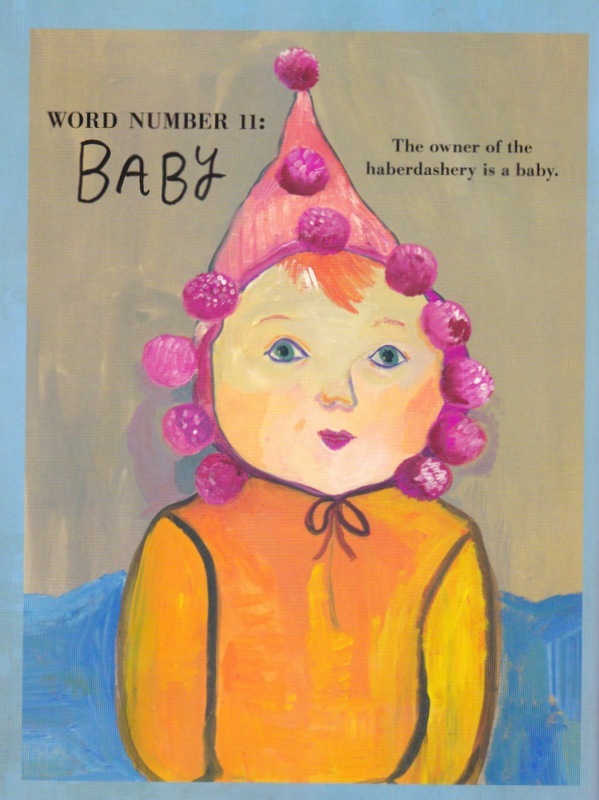 While bird is busy(5) sulking and painting ladders, dog visits a haberdashery(9) owned by a baby(11). 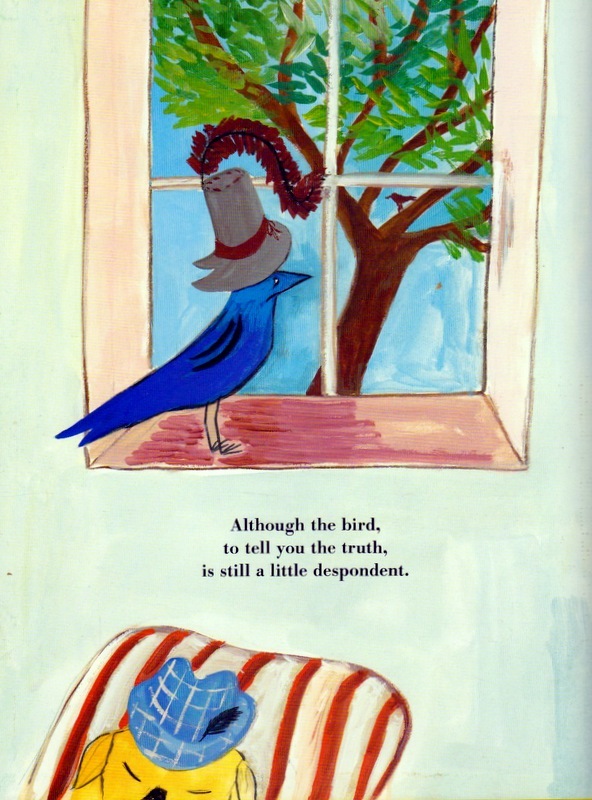 These words, and seven more, are joined in a lovely story about how dog worked to cheer up his friend bird. 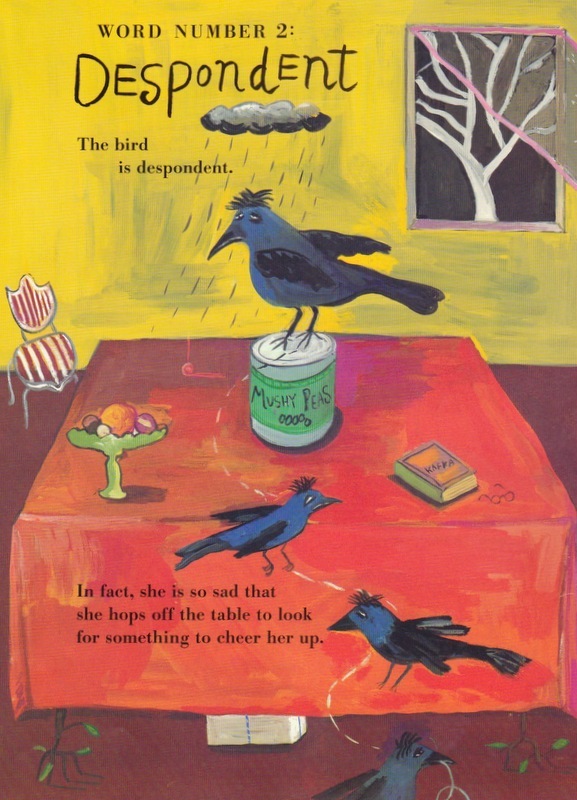 Parents take note: there’s a song to sing in this book. I’ve found when singing made up songs to little ones, the worse it sounds, the funnier it is. So belt it out!